I am beyond thrilled to announce I am on the June 2016 cover of Be Who You Are Magazine and I am featured as this month’s Gamechanger! You can pick up your full copy of the magazine here and below I’ve included an excerpt written by the extremely talented Jessica Ferguson! 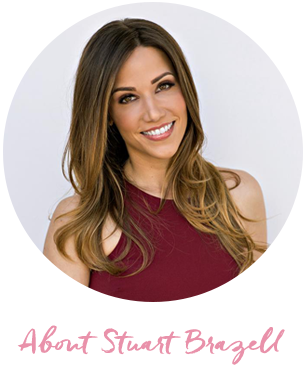 “Mastering the Multi-Task: Stuart Brazell’s Journey Toward Becoming Her Own Brand in Hollywood” by Jessica Ferguson, Editor Remember when the phrase “jack-of-all-trades” was meant as insult, implying a person couldn’t master more than one craft at a time? That is no longer the case. In this current culture, the multi-tasking, multi-faceted, multi-platform entrepreneurs and creatives are leveraging their experience across several fields to become an expert at the intersection of those industries. We now see that the X-factors for success are actually passion, resilience, innovation, creativity, integrity and a lot of time spent practicing your work. Stuart Brazell, producer & host for The Wrap (and several other entertainment and lifestyle brands), is a prime example of how one can gain strength through the slashes between their job titles. The only inclusive term we can think of to describe Stuart is “modern media maven.” She has done everything from producing broadcasts, hosting awards shows, interviewing stars on the red carpet, acting in film and TV, casting reality television, creating online content, running tape/running errands as a production assistant and working as a waitress at nights. And that’s just the tip top of the iceberg. 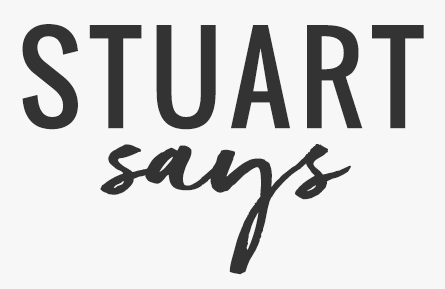 Stuart’s current projects include producing and hosting the digital interview series, “Drinking with the Stars” for TheWrap.com, in which she gets to ask the most trending celebrities quirky questions over craft cocktails. “I love that it is off the red carpet, where [the guests] are more relaxed. We have a drink, we chat… it’s a more candid, fun interview, where we both feel we can be more ourselves.” After this “work” (wink, wink) wraps up for the week, she spends countless hours cultivating her online lifestyle hub, StuartSays.com, where fans can get a glimpse of who she really is, candidly and completely. Huge thank you to Be Who You Are Magazine for this honor!